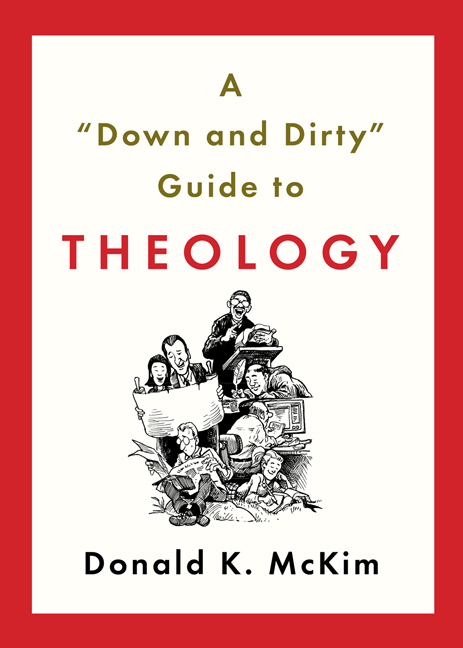 A “DOWN AND DIRTY” GUIDE TO THEOLOGY. By Donald K. McKim. Louisville: WJK Press, 2011. Xiii + 170 pages. Puritan theologian William Perkins, writing in the early 17th century wrote that “theologie is the science of living blessedly forever. Blessed life arises from the knowledge of God” (p. 3). This definition, according to Donald McKim, author of this brief guide to theology, is sufficient reason to pursue theology, for theology helps provide the knowledge of God that enables us to live blessed lives. The word theology, which can be defined as the study of God, can signify an academic discipline that requires significant training, but it can also describe something we all do in life. In essence, if we think about God, we’re doing theology. The question then is whether we’re able to do this work thoughtfully or not. We needn’t pursue advanced training, but it’s helpful to have a good basic foundation in theology. That’s the purpose of this guide. It offers to the general reader a brief and even enjoyable introduction to something that many of us take quite seriously. McKim, who is the Executive Editor at Westminster John Knox Press, the publisher of this book, had a long career teaching theology at colleges and seminaries prior to going into the publishing business. I first encountered him during seminary when I read The Authority and Interpretation of the Bible, which he wrote with Jack Rogers (at the time my Philosophical Theology professor at Fuller Seminary). McKim is, from my experience of him, a moderate, probably Barthian, Presbyterian who was a student of Rogers as an undergraduate. He holds a high view of Scripture and yet is open to a variety of insights into the Christian faith. In A “Down and Dirty” Guide to Theology McKim offers a balanced and broadly constructed overview of Christian theology, that throws a bit of humor (much of which are found in the cartoon/illustrations that serve to divide the sections from each other) into the mix. This serves to remind us that we shouldn't take ourselves as theologians overly seriously! The book is composed of forty-four brief chapters organized in ten parts. The book begins with a quick look at definitions and goals of theology, before moving to definitions and tasks of theologians. 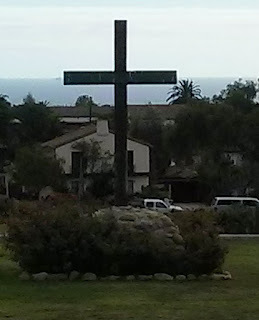 In part III he looks at issues such as authority and terminology, while part IV he looks at the relationship of theology to the church and to faith, and the looks at forms of Christianity, denominations, major beliefs, creeds, the place of the bible in theology, the Christian year, preaching, prayer and service. All are treated briefly in ways that are suggestive of further study. From there he moves to the relationship of theoology to the academy, philosophy, culture and science. Part VI deals with history while part VII looks at theological method and major theologians. Then in part VIII he notes the questions being raised today by theology. Then in part IX, which he entitles “The Personal Touch” he offers “interesting tidbits about certain theologians and theological movements (did you know that while Dietrich Bonhoeffer learned to drive in the United States he failed his drivers test three times – now I don’t feel so bad!). There’s a bit of theological humor, though for the most part this little chapter is forgettable (maybe theology isn’t as humourous as I’d thought). In chapter 39, McKim offers what he calls “Golden Nuggets from Theologians.” Although many of the quotations come from WJK books, not all of them do. Barth, Bonhoeffer, and Calvin have the most quotations in the list, suggesting that these are favorites of McKim. There is a top ten list of Latin theological phrases and one for German phrases as well. Prior to offering a “Final Word” McKim provides a helpful bibliography. This is a book that can be read piecemeal, rather than from cover to cover. Give attention to the parts that speak to the moment. If you need to remember the important theological issues of Christian history or where a doctrine fits in the broad scheme of things, you’ll likely find what you need. I appreciated the list of important theologians, which is laid out chronologically from Justin Martyr to David Tracy. I think it’s instructive that most of the women theologians are recent and most still living. There are in this list a few persons that probably should have been added to the list. Two who come to mind are James Cone, one of the leading figures in Black Theology, and Kosuke Koyama, a Japanese theologian known for developing what is known as Water Buffalo Theology. In other words this is, unfortunately, largely a listing of dead white males. That’s not to say that those figures listed aren’t important, for they are, but perhaps the net could have been spread a bit wider to catch a few more figures who are representative of these broader moves in theology. So, if you need a quick theology refresher or a quick tour of theology, this book might be helpful, but I think the best use of the book is as an introduction to theology for the person who knows something of theology but has not yet had significant training. If that is you, by all means, pick up and read.